If, like millions of others, you’ve dreamed of starting your own business but just never quite begun, this is for you. You might already have an idea, or many ideas, about what you would like to do but still you’re holding back. Enterprise in all its forms is so vital to our world. It’s a great expression of spirit, adventure, self-reliance, belief, hard graft, financial liberty, and it connects the world with a great product or service which makes lives just that little bit better. 1. “I don’t have a unique business idea”. No worries. No Eureka moment required! Business is not always about the first, fastest, best or most innoative. Hair & beauty services, cleaning, landscaping, estate agency.. anyone can make a good business work if they have the right attitude, partnerships and are willing to use their skills and learn new ones along the way! 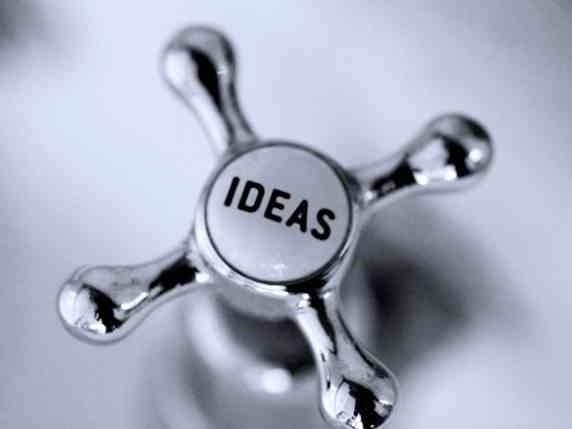 CHECK OUT THIS LIST OF 333 BUSINESS IDEAS. We defy you to not find SOMETHING you could do. If you have a desire to be your own boss, you can find an idea that will work for you. 2. “I can’t afford to start a business“. Yes you can. There are literally thousands of businesses you can start on a shoestring – especially a shoe-string business.. 😉 . Most home-based business require little more than a reliable internet connection, an understanding of your customers and suppliers and some materials to get you started until your first sales come in. I know people, including my husband and I, who have started a business by spending less than $100. Never let finance, or the lack of it, stop you. 3. “I Will Need An Office” (or Factory!) There are many businesses you can run from your spare room/shed/kitchen table/laptop – no need for expensive overheads, staff or equipment at the beginning. 4. “I Have To Run The Business for Life”. Nope. If you are seriously building a decent enterprise, and aim to run it as a Ltd company or even aim to float on the stock-exchange – the very goal is to build much value into your business then sell it and move on. Equally, if you run a small business or are a sole-trader, there is no rule book – run it for a few years, make some money and then close it and do something different (or something related). The most enterprising people I know run many different businesses, often overlapping. Most importantly, if it is not making you money or if it’s making you stressed or miserable – treat it as you would any job, and leave. Know when to quit. 5. “I Will Need A Detailed Business Plan”. Let’s straighten this one out. The MAIN audience for any business plan is YOU, the business owner. The whole purpose behind sitting down and writing out what your business is all about and how it will make a profit (that’s all a Plan is) is to help YOU work through the practicalities. There’s no point fantasizing about thousands of people buying your product if you can’t say exactly how you will get your product to them. How will you make them understand it, why would they want it and what will they pay for it (note: what will theypay for it, not what would you like them to pay!). You can plan your business on a flipchart, post-it note or in the sand on a beach! Yes, if you plan to approach investors, angels, banks then yes, some more time and effort will be required but your local Business Support service, and many banks themselves will help you with a template and guidance. 6. “It Will Be Too Much Hard Work”. OK, I confess this is only a semi-myth. It is hard work running a business but at least you know that allthe effort you put in is for your own direct benefit. You are the boss. But you’re also the employee. So when you’d rather stay in bed or surf the web instead of find new customers there is no one there but you to motivate yourself. Remember that you can’t get away with only selling to friends and family for very long – you will have to go out there and find real live customers at some point. Be brave, get connected, get in the right place at the right time. The more business you get, the more business you get – that’s how it works. If you are interested in starting your own business, join us on http://www.facebook.com/lifechangeexchange for lots of great advice and motivation. If you already run your own show, come and share your experiences! Reblogged this on The Life Change Blog.